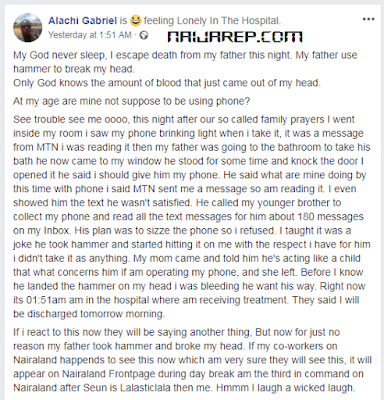 A young Nigerian Blogger simply identified as Alachi Gabriel has accused his father of breaking his head with hammer because he operated his own phone at night. 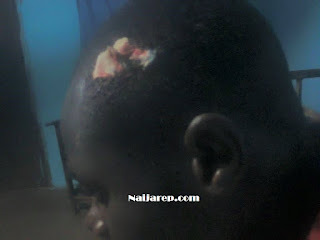 On getting back home from the hospital he saw that his father had thrown his things out of their home and chased him out of the house while raining curse on him. 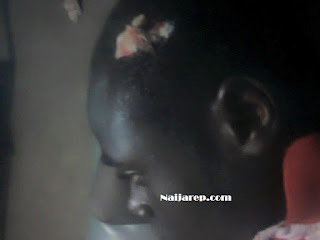 He Said:My God never sleep, I escape d£ath from my father this night. 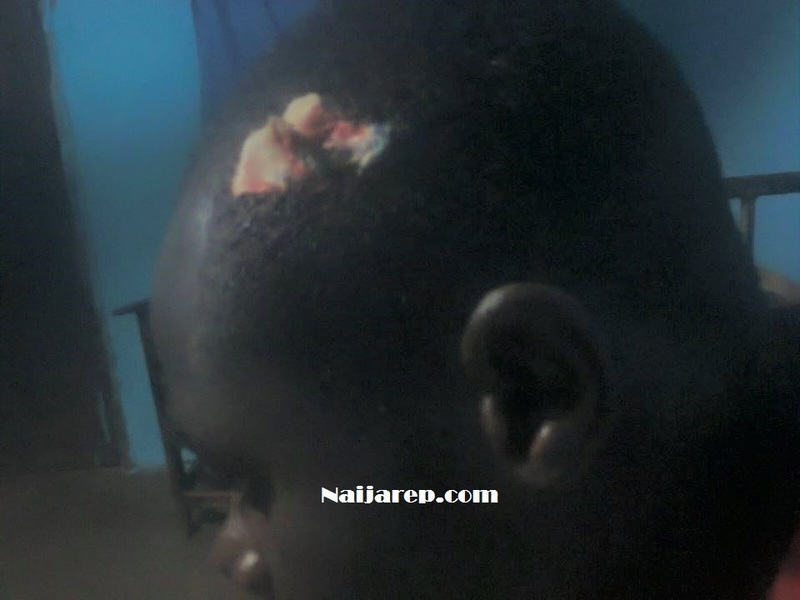 My father use hammer to break my head. See trouble see me oooo, this night after our so called family prayers I went inside my room i saw my phone blinking light when i take it, it was a message from MTN i was reading it then my father was going to the bathroom to take his bath he now came to my window he stood for some time and knock the door I opened it he said i should give him my phone. He said what are mine doing by this time with phone i said MTN sent me a message so am reading it. I even showed him the text he wasn't satisfied. He called my younger brother to collect my phone and read all the text messages for him about 180 messages on my Inbox. His plan was to seize the phone so i refused. I taught it was a joke he took hammer and started hitting it on me with the respect i have for him i didn't take it as anything. My mom came and told him he's acting like a child that what concerns him if am operating my phone, and she left. Before I know he landed the hammer on my head i was bleeding he want his way. Right now its 01:51am am in the hospital where am receiving treatment. They said I will be discharged tomorrow morning. If i react to this now they will be saying another thing, But now for just no reason my father took hammer and broke my head. 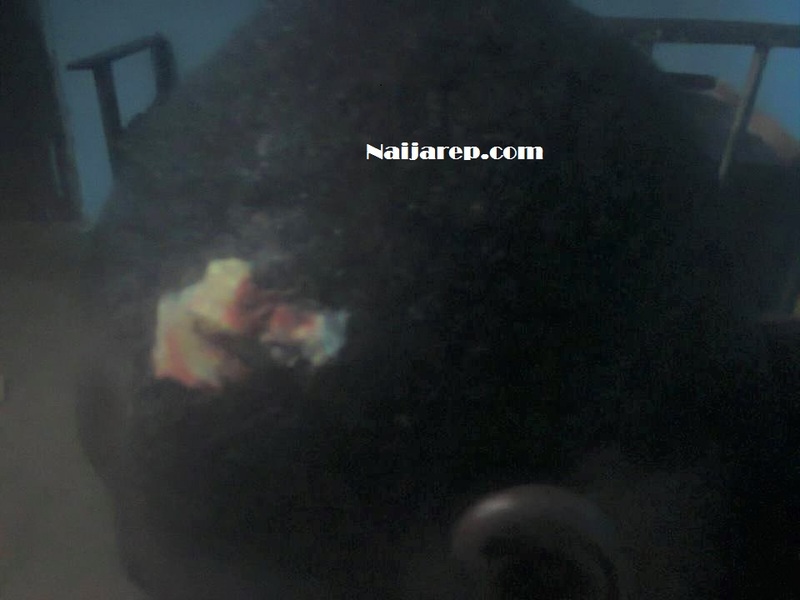 If my co-workers on Nairaland happens to see this now which am very sure they will see this, it will appear on Nairaland Frontpage during day break am the third in command on Nairaland after Seun is Lalasticlala then me. Hmmm I laugh a wicked laugh. He also said:I will make sure this post appears on nairaland frontpage. I just came back from the hospital and saw my things outside. He has chase me away from the house. I don't care he made life for my jnr brother this guy ran from his masters house in Lagos nobody knows he where about till today. He's in Lagos i know but no one is able to know his location. He has said it that i and my brother worth nothing to him but one day we shall prove to the world that even without a father we can succeed. 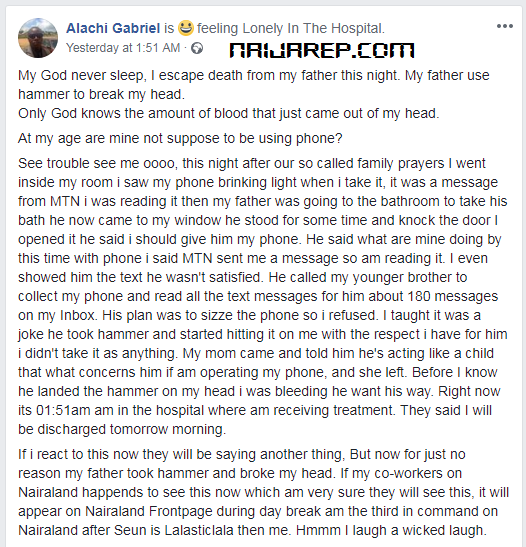 0 Response to "I Escaped D£ath From My father This night After He Used Hammer to Break my Head for Operating My phone at night- Nigerian Blogger Laments"